Social and reproductive behaviour, preliminary inventories, mapping, breeding area, living space, habitat requirements/viable populations, threats, protection by the Convention of International Trade in Endangered Species (CITES), conservation recommendations. See publications Zimmermann � work finished. As a preparation of the "Herpetological Research and Taxonomic Investigations in the Philippines" project, we went on a journey to the Philippines in April/May, 1996. We had talks with William Oliver, Manila (Fauna & Flora International), collaborators of the Department of Environment and Natural Resources, Manila, and with potential project collaborators of the Philipines. In the meantime, the Memorandum of Agreement, which allows the realization of the project, is ready to be signed at the research institute Alexander Koenig. Further negotiations with potential collaborators of the Philipines are being made. See publications Gaulke. In August 1996, the first field examinations of the population structure of Varanus bengalensis and V. salvator in Sri Lanka were made, financed by the DFG. 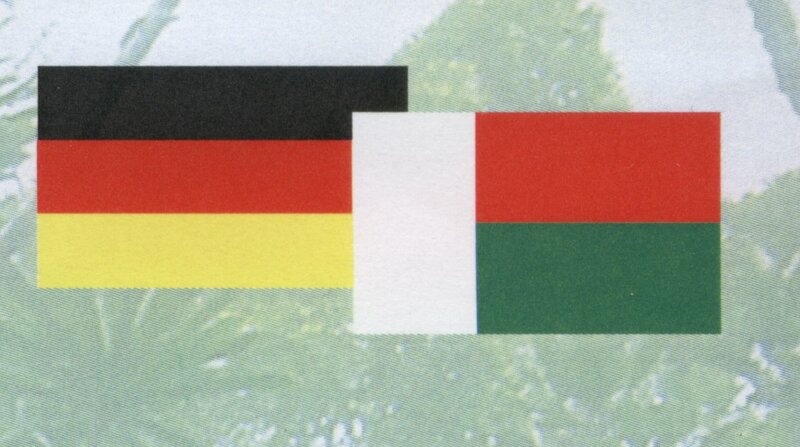 A several years' co-operative project, managed by Anslem de Silva, Sri Lanka, and M. Gaulke, Deutschland is planned. A project application has been worked out in the meantime, and the first results of a pre-examination have been published. See publications Gaulke. In January/February 1997, radiotelemetric examinations on the activity rhythm and activity radius of Varanus salvator, have been undertaken in the north Sumatra province of Indonesia. The field work was supported by the "Bundesministerium f�r Umwelt, Naturschutz und Reaktorsicherheit, Bonn" in the course if the "Status, Populationsbiologie und Schutz von Bindenwaran (Varanus salvator), Netzpython (Python reticulatus) und Blutpython (Python curtus) in Sumatra und Kalimantan, Indonesien" project. Investigation of geographic spread, behaviour, habitats and protection measures of the recently discovered waran on the Philippine peninsula Panay. See publications Gaulke. 2000 years ago, Madagascar, a dream island for nature-lovers and the priority of our nature conservation work, was still completely covered with forest. 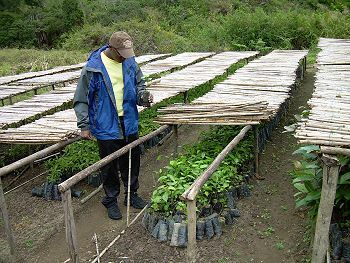 Today only some dry wood area and 8 to 10% of the original rain forest still exist. But here lives a variety of species that can hardly be found at any other place on earth. 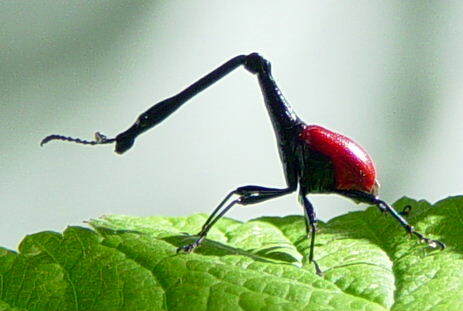 Additionally, due to the separation of Madagascar from the African continent, a unique flora and fauna has developed for 140 million years which can't be found anywhere else in the world. 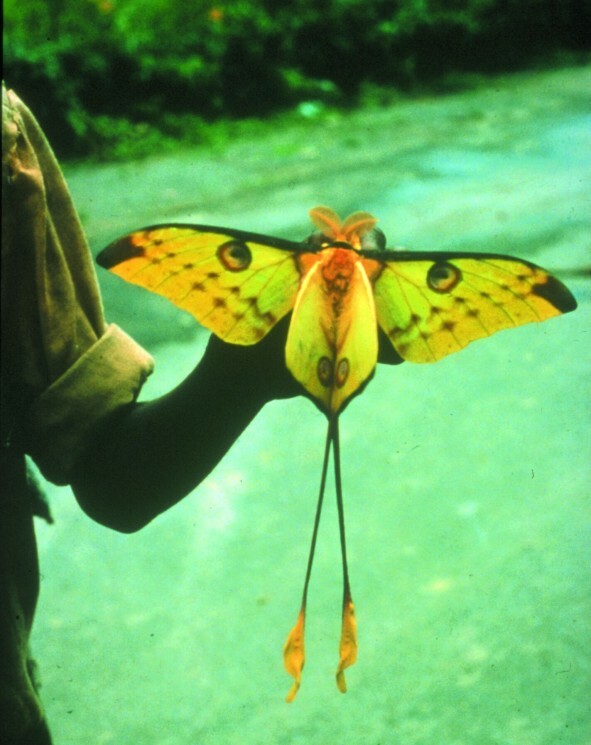 A unique "Treasure of Nature" ("Sanctuaire de la Nature") has developed, indeed. 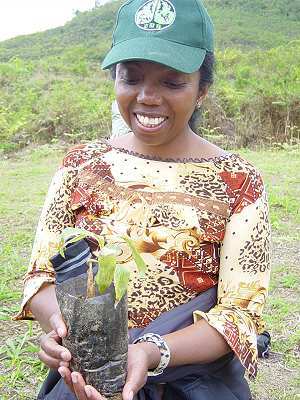 To date, more than 150 species of orchid, 12 species of lemurs, over 70 species of reptiles and 100 species of frogs, and about 180 species of butterflies have been discovered in the protected area system around Andasibe. This area, encompassing marshland (about 64,200 acres, about the size of Stuttgart) is one of the most species rich in the world. But all this is highly endangered by the intended drainage of the valuable wetland area for rice growing, and by slash-and-burn rice cultivation of the surrounding water catchment, originally covered in rainforest. Even the small marsh rain forest area Torotorofotsy with a size of 32 square miles absorbs more than 5,000,000 tons of CO2. 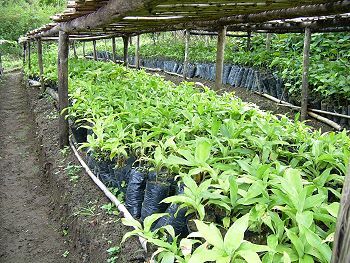 Not only are we beginning to restore rainforest and habitat continuity through planting corridors of native trees between protected areas but we are also involved in developing more sustainable livelihoods with and for the local people. 1.0 National park "Mantadia" ~ 24 700 ac. 1.1 Rainforest ~ 21 000 ac. 1.2 Tavy (Wasteland-arable land, eastern buffer zone) ~ 2 450 ac. 1.3 Tavy (Wasteland to reafforest) * ~ 1 250 ac. 2.0 Target nature reserve "wetland-rainforest area Torotorofotsy" ~ 20 500 ac. 2.1 Moor ~ 3 000 ac. 2.2 Rainforest ~ 7 500 ac. 2.3 Tavy (Wasteland-arable land for later reafforestation) ~ 5 000 ac. 2.4 Eucalyptus wood ~ 5 000 ac. 3.0 Target National Park "Ambato" ~ 13 100 ac. 3.1 Rainforest ~ 4 500 ac. 3.2 Tavy (Wasteland-arable land for later reafforestation) * ~ 5 000 ac. 3.3 Tavy (Wasteland-arable land, buffer zone) ~ 2 500 ac. 3.4 Eucalyptus wood ~ 1 100 ac. 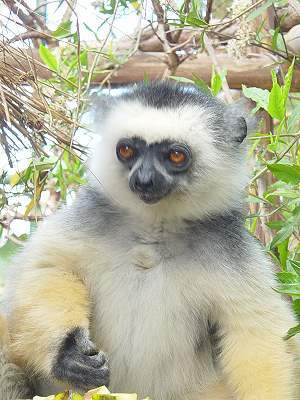 4.0 Indri reserve ~ 2 000 ac. 4.1 Rainforest ~ 1 975 ac. 4.2 Fish farming plant, Tourism and the like ~ 25 ac. 5.0 Reserve NAT foundation + DGEF "Dragon Tree Rainforest Maromiza" ~ 4 000 ac. 5.1 Rainforest ~ 3 000 ac. 5.2 Tavy (Wasteland-arable land for reafforestation) ~ 1 000 ac. Total rainforest area system ~ 64 300 ac. 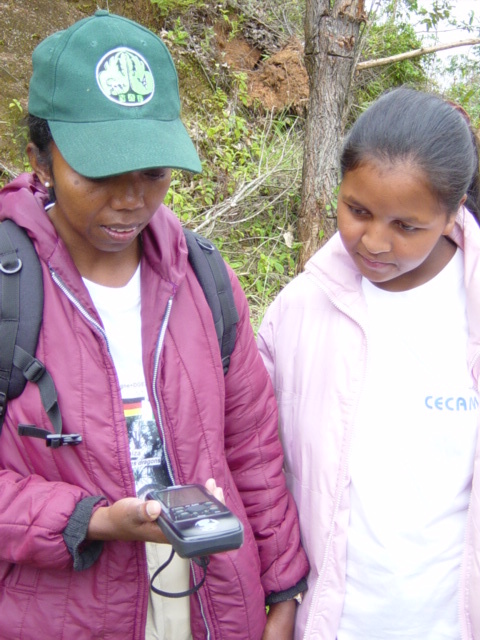 The map (satellite photo) of the Foundation for Tropical Nature and Species Conservation (NAT) is the basis for cultivation and planimetry. The north of the National Park Mantadia and the Torotorofotsy marsh are adjacent to the large rainforest area Forêt Sihanaka. The south of the "Dragon Tree Rainforest" Maromiza is adjacent to the large rainforest area Vohidrazana. 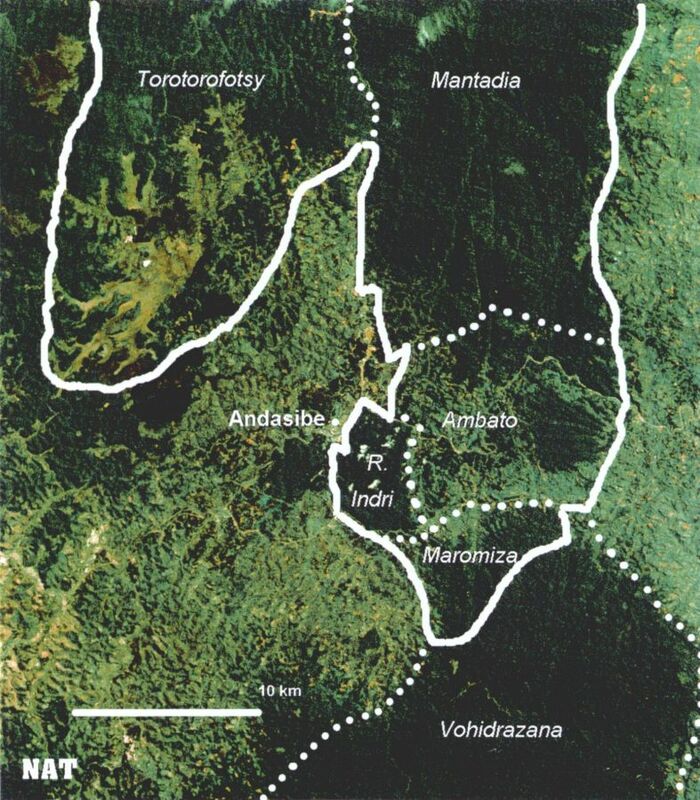 This rainforest area system will ensure the still missing ecological link between the northern and southern rainforest in the centre of Madagascar. 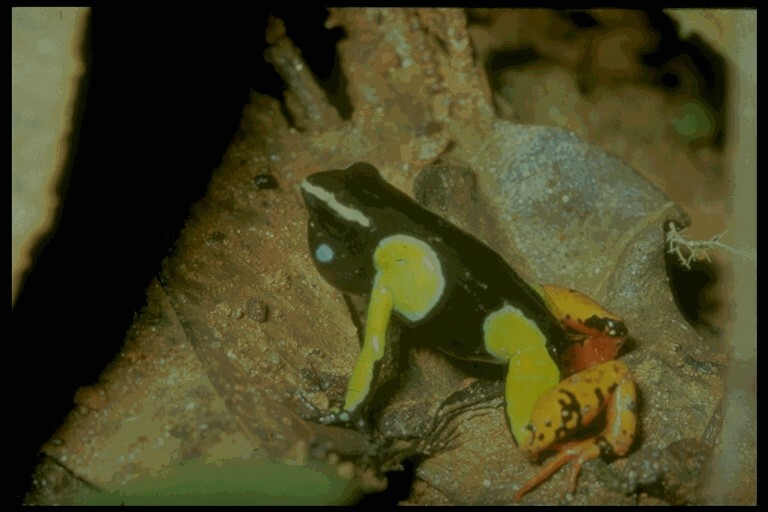 Flagship species Mantella aurantiaca, the Golden Frog. * Together with the rare lemurs of Madagascar, allocebus trichotis, the Hairy-Eared Dwarf Lemur (rediscovered by Rakotoarison, Zimmermann & Zimmermann 1996) in the Dragon Tree Rainforest Maromiza and Ambato there is no place in Madagascar with more than 12 Lemur species. See publications Zimmermann. First study completed in 1999. Application from NAT to DEF in 2001 for integration of the area into the RAMSAR list of the world's most important wetlands (similar significance as an eco-label like "world nature heritage" at the UNESCO). 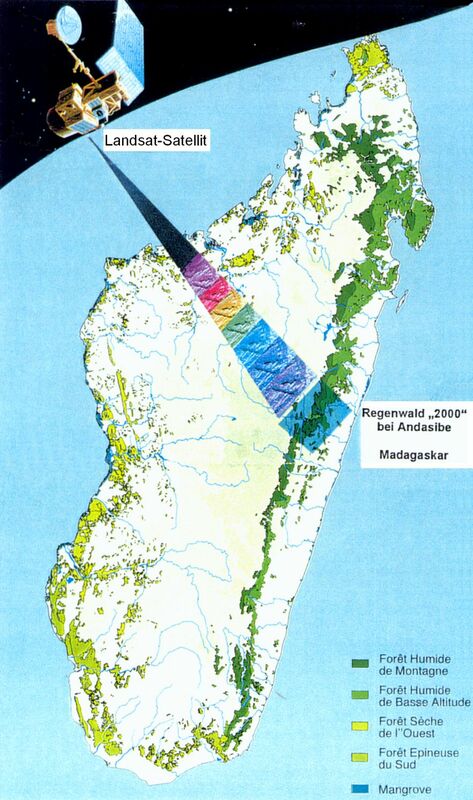 Application of Madagascar submitted to UNESCO, Gland, Switzerland, in January 2004. Preparations initiated. See publications Holloway and Zimmermann. Preparations initiated. See publications Zimmermann. 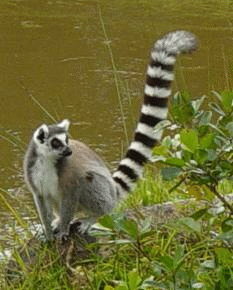 Flagship species Allocebus trichotis, Hairy Eared Dwarf Lemur. In progress. See publications Zimmermann. The examinations are being continued and promise a high biodiversity worldwide with highest endemism rate at high density. Further works have been initiated. 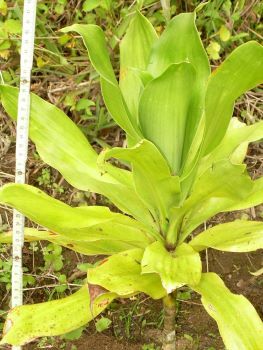 The president of Madagascar Marc Ravalomanana and his Ministers and specialists visited a part of the forest on March 27th, 2004 and informed the public at large about his positive impressions. 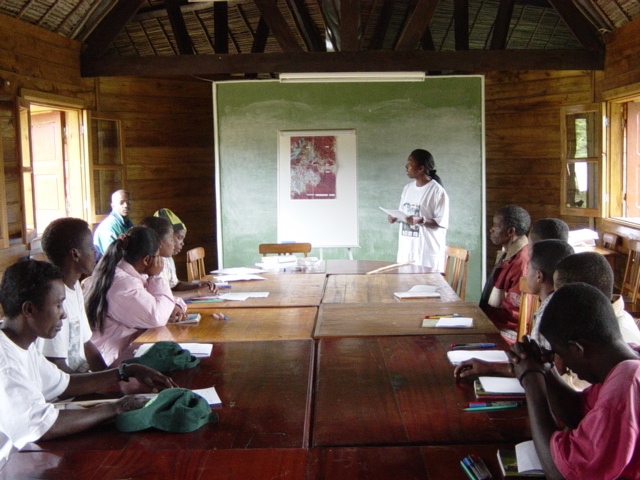 Within the scope of the eco-tourism project, tourist guides and rangers are trained and the inhabitants are given courses in environment education at the new NAT field station. 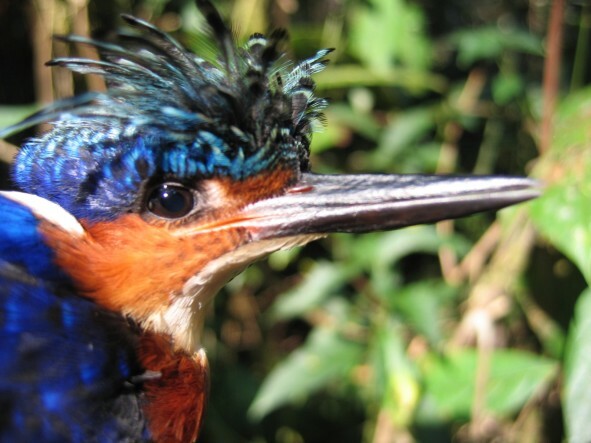 Opinion for the IUCN/SSC Wildlife Trade Programme, Analysis of the Proposa. 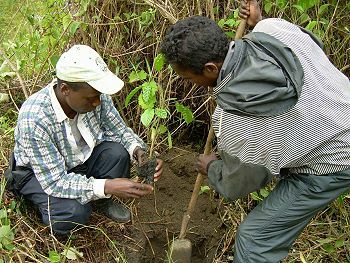 Draft for the Ministère des Eaux et Forêts (MEF) and the Association Nationale pour la Gestion des Aires Protégées (ANGAP), Antananarivo, Madagascar. 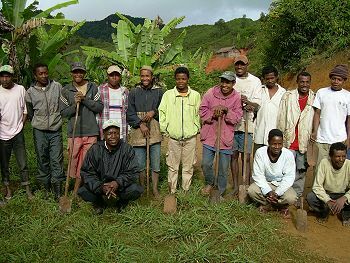 Opinion for the Ministère des Eaux et Forêts (MEF) and the Association Nationale pour la Gestion des Aires Protégées (ANGAP), Antananarivo, Madagascar. 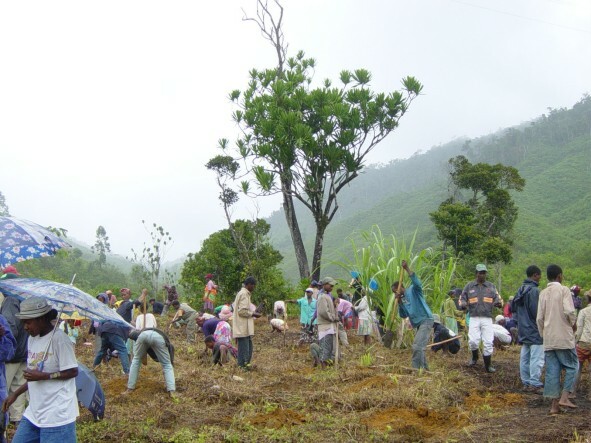 Opinion for the Direction G�n�rale des Eaux et For�ts (DGEF) and the Comit� National RAMSAR, Antananarivo, Madagaskar. 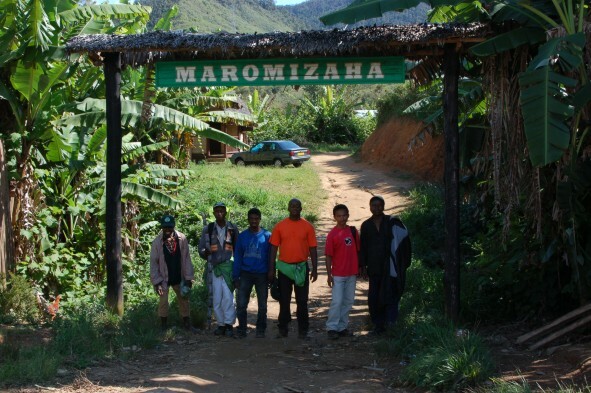 Project: Proposition "SITE DE CONSERVATION ANDRIANDAVIBE (Andasibe)"
Opinion for the Minist�re de l�Environnement, des Eaux et For�ts (MINEF), Direction G�n�rale des Eaux et For�ts (DGEF), Antananarivo, Madagaskar. 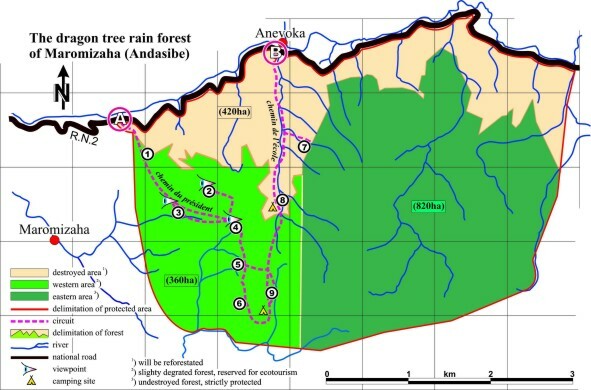 Draft for an extensive conservation area of around 264.290 ac., which includes the present protected rainforest area system Andasibe with around 64.220 ac., corresponding to the president's demand for an increase of the conservation areas from 3.7 million acres to 18.5 million acres. (Opinion 2003 H. Zimmermann partly finished). See activity reports NAT 1998, 1999, 2000, 2001, 2002, 2003 i.a. with reports on exhibitions "EXPO 2000", "Wilhelma-Ausstellung 2002", on the event at the Mediothek Stuttgart and on TV films of ARTE, ZDF and 3SAT.